I don’t eat meat. But I think that people should. I think that people should eat meat for two reasons: 1) We have physically evolved to be omnivores - as demonstrated by our canine teeth and 2) If you don’t eat Vitamin B12, which originates naturally only in animal products, you develop pernicious anemia, severe nervous system damage and eventually die. So, in order to avoid certain death, we need to eat animal. Contrary to popular belief, you do not need meat “for the protein”. American’s consume far more protein that they need on a daily basis. Despite all of the high protein diet advice you’ve been hearing, you actually only need 0.8g of protein per kilogram of body weight, no matter what gender you are. So, a 110lb (50kg) person needs ~40g of protein per day, while a 180lb person needs ~65g of protein per day. Even those people that are lifting weights or training don’t need much more protein intake - maybe up to 1.2-1.5 g/kg/day (timing is really the most critical part of eating while training). Currently, most people between the ages of 19-50 consume 80-90g of protein per day, about 1.5-2X the amount required. The great thing is, protein is in EVERYTHING, not just meat. Amino acids (which make up protein) - the cliche’d “building block of all living things” - are in every being from algae to humans. There are 22 amino acids that your body needs, and 9 of them are essential (meaning you have to eat them because your body cannot generate them). So, sometimes you need to play around with the intake to get all 9 in adequate amounts, but you can do this on a completely vegetarian diet. 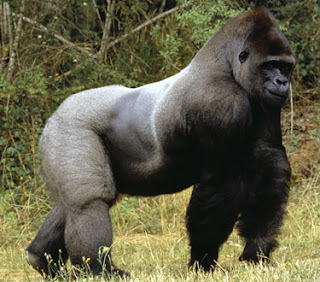 Look at a gorilla for example - the strongest, most muscular of any jungle animal - a strict vegetarian. I get my daily intake of necessary animal from eggs and dairy (cheese, yogurt, cream in my coffee) as well as fish once or twice a week (also a questionable industry, I know). However, eating dairy and fish, have been shown to provide positive health benefits in the long term - increased bone mineral density (Vitamin D and Calcium), increase cognitive function (omega-3 fatty acids), enhance flow through the digestive tract (good bacteria in yogurt), and help with overall weight maintenance. On the other hand, a new study examining the long term effects of daily red and processed meat consumption has shown a 13-20% increase in mortality (i.e. death) due to cardiovascular disease and cancer. Other studies have also shown red meat intake increases risk of developing Cardiovascular Disease, Hypertension (high blood pressure), Myocardial Infarct (heart attack) and all kinds of Cancer - colon, prostate, esophogeal, pancreatic… I could not find a single study with positive health outcomes associated with increased red meat consumption. So, why is this happening? Aren’t we supposed to eat meat? You would think, by listening to all the “high protein diet” pushers out there. According to Dr. Loren Cordain, the inventor of the Paleo Diet, we should have meat at every sitting. The claim is that we are genetically adapted to eat lots of meat. I review the Paleo Diet in another post, but suffice it to say, the meat available at your grocery store (even the very high priced organic, all-natural, grass-fed, cage-free stuff) has very little in common with what the Paleo man had to CATCH to eat. 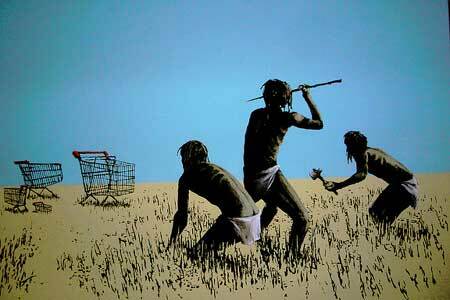 The Paleo man would have been eating wild animal that also had to survive in nature. Thus, the animal would have been lean, fit, and healthy. Not farm raised. And Paleo man would have eaten the WHOLE animal - the muscle (what we eat now), in addition to the heart, liver, kidneys, eyeballs...even sucked the marrow from the bones. And then he probably wouldn’t have meat again until he could hunt another animal (which may have been days or weeks, depending on the hunting grounds). The idea that we are genetically adapted to eating meat at every sitting is not only untrue, it has clearly been demonstrated in the modern world to be quite unhealthy. Our animals (cow, pig, chicken) are not naturally lean (in fact, they are often made incredibly fat on purpose), they do not forage wild leaves and berries for sustenance, they are born on large farms, typically pumped with hormones and/or antibiotics, and kept fairly immobile until slaughter. The fact is, modern day red meat (cow, in particular) is very high in saturated fat and cholesterol - even the “lean” varieties (which provide no extra protection against CVD or cancer, according to the study). Furthermore, excessive intake of dietary iron from these meat products, particularly heme iron (found in meat products only…different from the non-heme iron you find in some vegetables), may also be to blame for increased risk of premature death. Marbled (i.e. FAT) Steak...Would you want your muscles to look like this?? Processed meat (sausage, deli-meat, bologna, bacon) is even significantly worse for you than plain old cow. 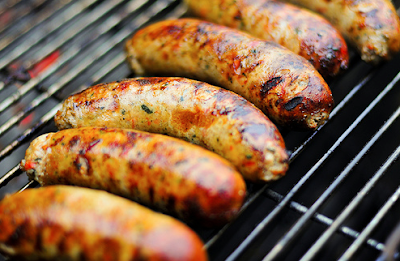 These man-altered meats contain high amounts of sodium and nitrogen containing compounds (added during curing). We know that sodium causes inflammation and increased blood pressure. Bad, obvi. Nitrogen compounds, called nitrosamines, are highly carcinogenic (cancer causing). They form when meat is charred or cooked at high temperatures. Let’s be perfectly honest, if you’re going to eat red or processed meat (i.e. steak, sausage, hotdogs, ribs) you’re going to brown it up - on the grill, in a skillet, roasting in the oven for hours - this may be toxic. Grilling leads to carcinogenic nitrosamines. The thing is, this is not a scare tactic by vegans on a PETA kick. This is very real. This is not the “clean” meat of our cave-dwelling ancestors. This is the highly processed, purposefully fattened, removed from nature, meat environment we now live in. 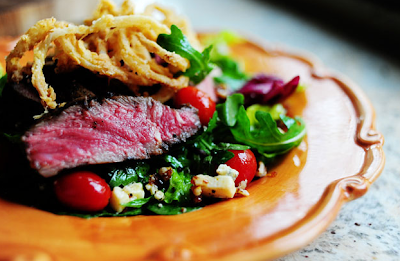 So, should you purge all red meat from your diet today???!! No, of course not. But, you should be very conscientious about your meat choices. In general, stay away from meat shoved into a casing or sold in a plastic package. If you eat red meat (remember, we are omnivores) eat it once every week or two. Eat it with a GIANT, colorful salad maybe with fruit for dessert (the anti-oxidants in the veggies and fruit have been shown to combat inflammation and reduce the complications of nitrosamines). Substitute red meat with fish, white meat (turkey, chicken), or tofu (come on, try it…! ), which have all shown health benefit, rather than detriment. Get very daring and try some meat-less dishes - add quinoa, garbanzos or soy beans make it a super high protein meal! Changing your risk - LATimes. Lastly, remember...if you’re going to eat red meat, enjoy it! Buy a nice cut, cook it well, and really taste every bite. It should be a rare indulgence to savor! 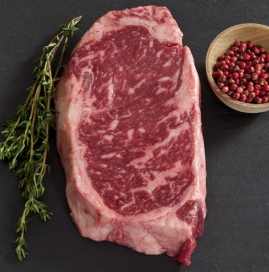 Red meat should be a treat, as it was to the hunter-gatherers of days past. A little meat and a lot of veggies! Newer PostHow 'bout a banana? Older PostGood Bye, Thin Mints!